Yellow Brick Road Romper - Stori Anne Co.
100% Cotton/100% Polyester Lining. 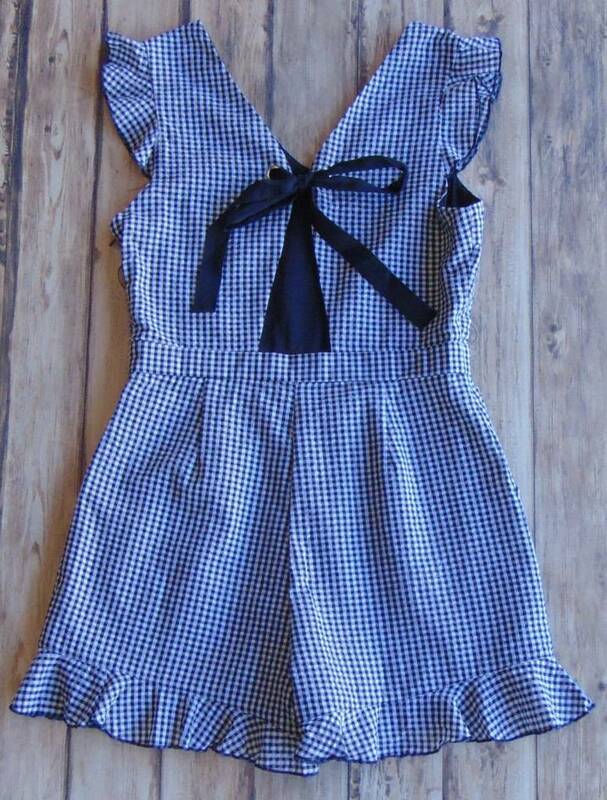 Ruffled gingham romper with cinched waist and self tie closure across open back. Pair this sassy little number with wedges or sandals and a long necklace for a head turning warm weather look.